The 228 Incident, also known as the 228 Massacre, 2/28 Massacre or simply 2/28, is considered one of the most important events in the modern history of Taiwan. It marked the beginning of the so-called White Terror, the period of martial law that lasted for 38 years. 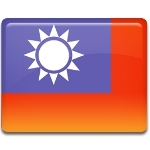 After WWII, temporary administrative control of Taiwan was handed to the Kuomintang-administered Republic of China. Many Taiwanese were displeased with the new nationalist government. On February 27, 1947 a dispute between a cigarette vendor and an officer in Taipei triggered civil disorder. On February 28, a full-scale uprising began. It was violently suppressed by the military, who killed thousands of people. For a long time, the 228 Massacre was officially taboo. In 1995, President Lee Teng-hui became the first Taiwanese head of state to address it publicly. February 28 was declared an official remembrance day. On this day, the president rings a commemorative bell in memory of the victims and bows to their family members.